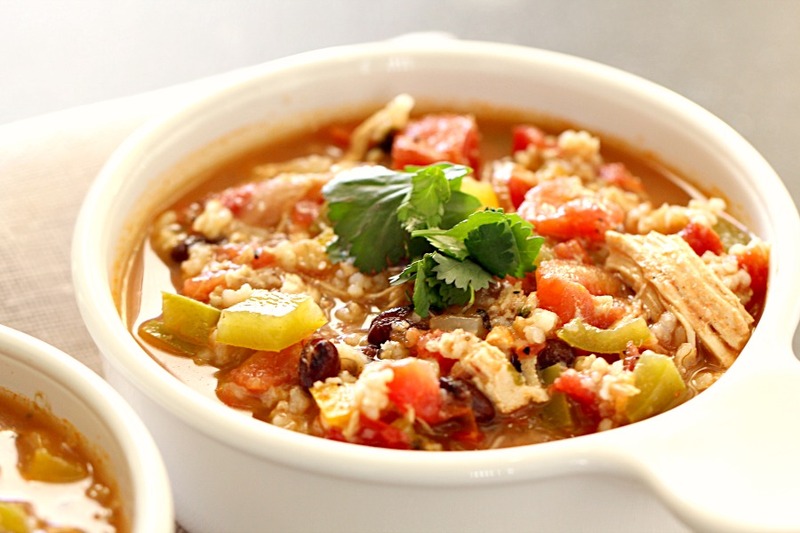 This hearty, healthy Slow Cooker Chicken Fajita Soup will warm you up on a cold day. 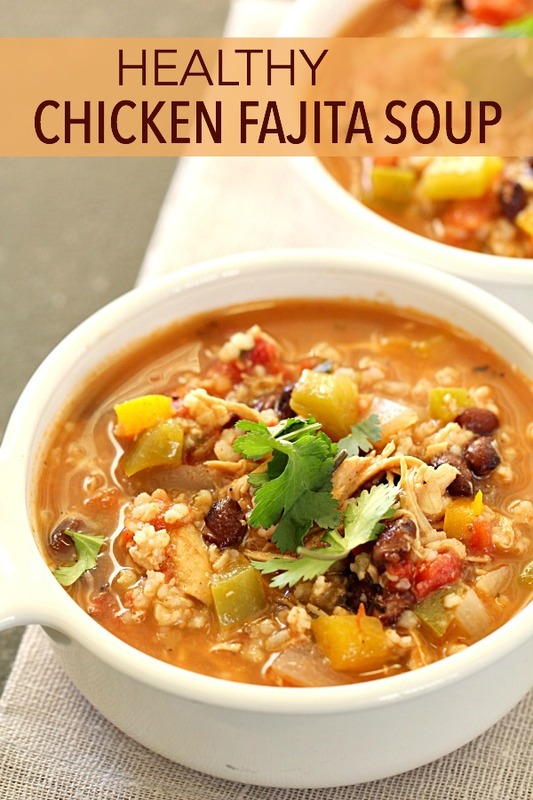 Loaded with chicken, peppers, beans, rice, and the best fajita seasoning - this soup will quickly become your go-to soup recipe. I am always looking for a quick way to get a healthy dinner on the table and the slow cooker is my favorite way to go. I love being able to throw the ingredients together in the morning and let it simmer all day long. Let’s be honest – the smell of the soup cooking all day long is one of the best smells ever! Have you heard of “dump and go” recipes for the slow cooker? Basically you “dump” all the ingredients in – no mixing bowl needed and you can literally prep the meal in less than 5 minutes. 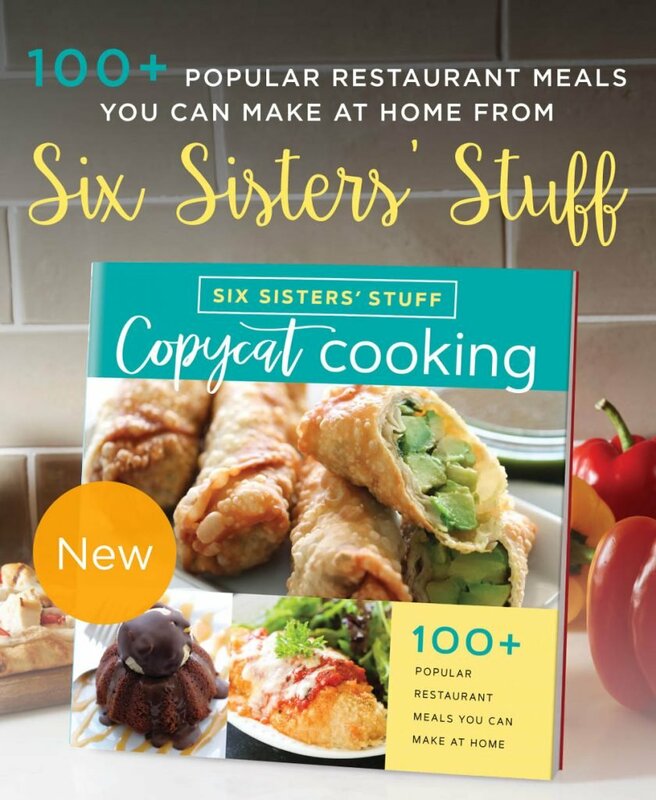 These recipes are my favorite kind of recipes! They are perfect for busy parents because you can dump it in the slow cooker in the morning and dinner is ready when you get home. To make this recipe even faster to prep, cut up all the peppers and onions the day before and keep them in the fridge until you throw it together in the crock pot. If you are looking for some more dump and go recipes that you can make for your slow cooker (or even make freezer meals with them), check out this post of my favorite 8 Dump and Go Slow Cooker/Freezer Meal recipes! no time to make it in the slow cooker? Let it simmer on the stove top for 30 minutes and use cooked chicken to have this ready in no time! For this recipe, I used instant brown rice. You can use any cooked rice that you have available. I generally use brown rice in any recipe that calls for rice, just because it is a little healthier. Brown rice is a whole grain, which means it contains all parts of the grain, including the bran and germ. White rice has the bran and germ removed, which are the most nutritious parts of the grain. White rice has very little nutrients that remain once those have been removed, which is why brown rice is a healthier option. Need more soup ideas? Check out our YouTube Channel! This recipe for Instant Pot Chicken Noodle Soup is one of our favorites! Spray a slow cooker with non-stick cooking spray. Place chicken breasts in the bottom of the slow cooker. Add peppers, onion, garlic, chicken broth, tomatoes, chili powder, cayenne powder, cumin, paprika, oregano, salt, pepper, and black beans to slow cooker. Gently mix together and cook on low for 6-7 hours or high for 3-4 hours. Remove chicken breasts from slow cooker and shred using 2 forks. Add chicken back into the slow cooker, along with lime juice, cilantro, and rice. Serve topped with sour cream and cheddar cheese, if desired. This soup is amazingly delicious. I just chop everything up the night before, and store it in the fridge. The next day, all I have to do is dump it in the slow cooker and be on my way! I was shocked, but delightfully so, that The Hubs enjoyed it too! He slurped this down without a single complaint, and said “You know I don't like beans, but this was good!” This had so much flavor, and of course, one of our favorite things, cilantro. I may have gone a bit over ¼ cup of cilantro, but that's ok cause we love the stuff!